It’s hard to NOT like dessert. When you have a creamy, decadent treat that is basically perfection in a tiny dish…you really can’t go wrong. 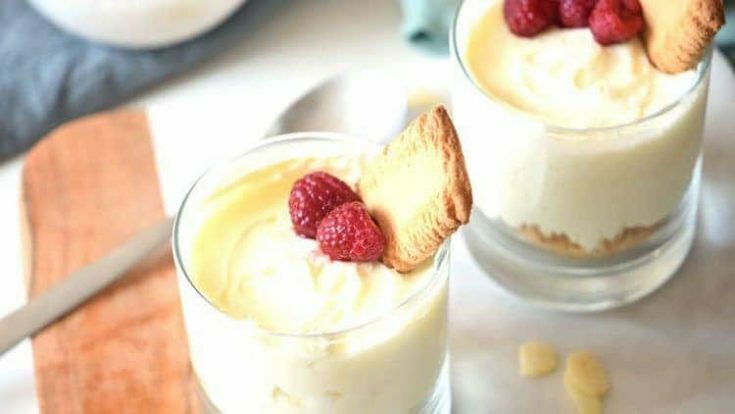 And Cheesecake Pudding is one of those desserts meant to be nibbled in tiny little bites and savored. Because it really is that good. 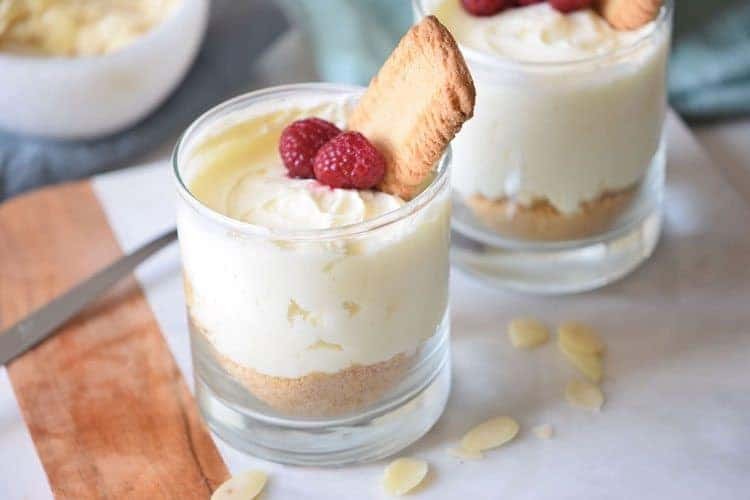 Desserts like Cheesecake Pudding and other favorites like Black and White Croissant Bread Pudding Recipe, Cool Strawberry Whipped Dessert, and Hazelnut Cheesecake Icebox Cake are sinful foodgasms worth cherishing. 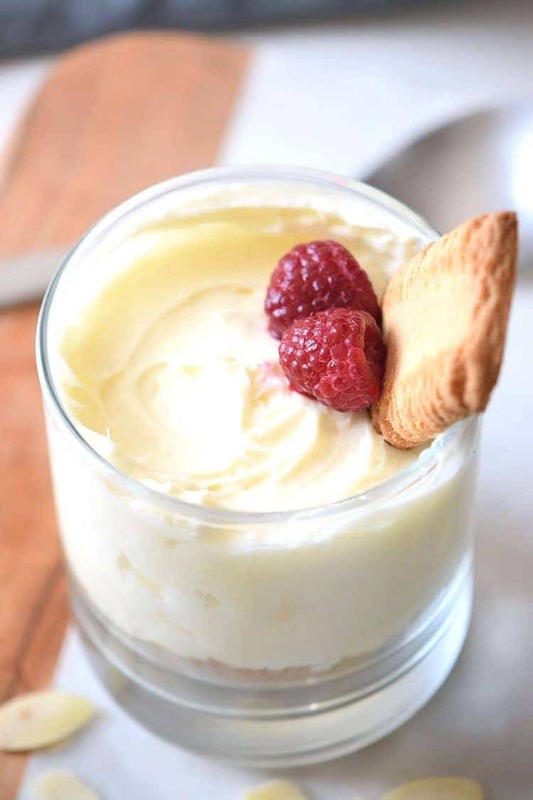 Perfect on its own, as as an after dinner dessert, our Cheesecake Pudding is delicious as it is gorgeous. Top with some berries, and you’ve got a glorious snack with healthy points added in. This simple, yet slightly indulgent recipe is one you’ll want to make again and again. Cheesecake Pudding would also be a great dessert to whip up for a party. Using small serving dishes, you can have mini desserts set up and ready to serve. If you’re looking for a delicious meal to enjoy before dessert–unless of course you want to have dessert first–you might enjoy our Cantonese Pan Fried Noodles or maybe an Italian Chopped Salad, which is absolutely delicious. In a bowl whisk together the softened cream cheese with the lemon juice and the vanilla extract. Set aside. In a sauce pan over medium heat bring the sugar, milk and cornstarch to a boil stirring constantly (around 4 minutes). Remove from the heat and incorporate the cream cheese until there are no lumps left. Set aside. Add the butter and the cookies to the bowl of a food processor and pulse until it resembles coarse sand. Press the cookie mix in the bottom of the serving glasses. Top with the pudding and decorate with vanilla cookies and raspberries. Refrigerate for 1 hours or until firm. Serve and enjoy. You can also add 1/4 cup of strawberry jam o the pudding for a berry punch of flavor. Hi how many servings is this recipe for please?